Dubai Design District (D3) has announced the launch of ‘Design for Good’, a project seeking to connect the design community through creative collaborations that support and promote social change within the UAE. Design for Good is based on three key pillars. The first is Design for Placemaking, which prioritises design solutions that encourage creativity and collaboration in public environments; the second is Design for Sustainability, which establishes that the design solutions presented should maximise long-term economic, social and environmental value and the final pillar is Design for Empowerment, which reiterates that design solutions submitted should empower people and challenges perceptions. On the new project, CEO Mohammad Saeed Al Shehhi said: "Design offers solutions to any problem and through the power of design we can ensure a positive impact on various communities. Collaboration has also proven to achieve greater creativity and improved solutions." A member of Dubai Holding, d3 is a destination dedicated to design. Mainly created to provide a home to the region’s growing number of designers, creatives and artists, it has fast become the hub for inspiration and innovation. 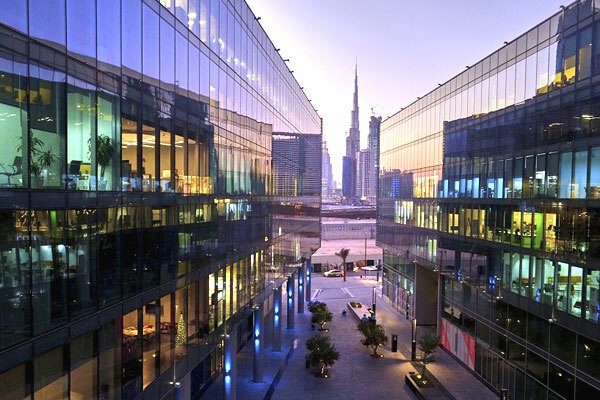 Located in the heart of Dubai, just minutes away from Dubai Mall the thriving community provides a platform where individuals can unite, collaborate and create. The Design Quarter at d3 is fully operational with over 400 creative partners and retailers. "Our decision at d3 to launch Design for Good is based on these fundamentals. We are confident such efforts will bring the local design community together to work towards the cause of supporting and encouraging social change," stated Al Shehhi. Under the Design for Good programme, two projects will be rolled out in 2018. The first entitled ‘The Mesh’ will include a collaboration between the Fatima Bint Mohamed Bin Zayed Initiative (FBMI) and Emirati designer Roudha Al Shamsi. The d3 has commissioned Roudha to design three shading structures for the d3 community that will be produced by Afgani women through FBMI. The proceeds will be utilised for the education of the women to further develop and enhance their skillsets. The three structures will be displayed during the Dubai Design Week in November and then permanently placed in d3. The second project is entitled ‘Design 100,’ d3 is inviting designers from across the UAE to design a piece of furniture or a functional object.